All You Need to Know When Choosing TILES for Your New Home! Choosing tiles for your new home may take an insane amount of time – ONLY if you do not know the facts on the different types of tiles! It is often that home owners regret their decision to purchase certain tiles simply because they were not suitable for the chosen application in the first place. MALFORD are tile suppliers in Singapore and they have compiled a list of things to look out for when choosing tiles for every location in your home! Before proceeding, here are a few things you need to know to better understand what makes a perfect selection! 1.) Full-Body Homogeneous Porcelain Tiles – Tiles with a consistent composition of material throughout the whole body of the tile. The grain patterning on the surface of the tile should be also seen at its sides and the back sides of the tile. They are extremely strong and durable, and have a very low rate of water absorption. Such tiles are suitable for use anywhere. Even your car porch! 2.) Half-Body Homogeneous Porcelain Tiles – An economical option to the latter. The composition of material is only down to half the body of the tile, and the lower half of the tile is made of normal porcelain. It is not as strong as a full-body tile. 3.) Glazed Porcelain Coloured Body Tiles – Because full-body tiles are made this way, it is impossible to create certain designs such as a beautiful marble look pattern. Therefore, in order to create such a design, the pattern has to be printed on the body of a tile in the form of a glaze. Having the body the same colour as the tile would mean that should the surface be chipped, you still see the same colour. 4.) 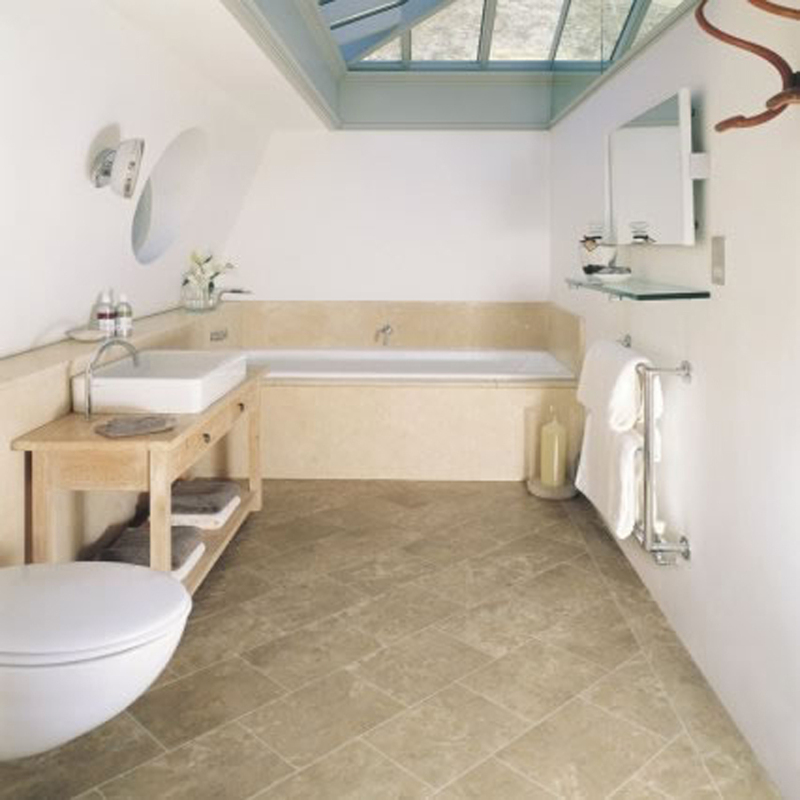 Glazed Porcelain Tiles – The same as the latter, just that the body is not coloured to the same colour as its surface. 5.) Ceramic Tiles – Only suitable for application on walls due to its porousness. Ceramic Tiles have a very high rate of water absorption. 1.) R9 – indicates that the tile is smooth and matte. Such tiles are only suitable for dry areas but are very easy to maintain. 2.) R10 – indicates that the tile has some sort of texture. Such tiles are made to be anti-slip and are suitable for wet areas. Good factories have been able to manufacture very smooth R10 tiles whereby you would feel the anti-slip effect only when it is wet. This makes cleaning super easy too! 3.) R11 – this rating suggests that the tile has a rough texture. Often used for slopes that are prone to being wet, such tiles are not so much in favour with consumers as it has a tendency to trap dirt and may result with an issue with maintenance. 4.) Polished – There is no anti-slip rating for polished tiles. 1.) V1 – this means the tile has no colour variation at all. If you are looking for something of a natural effect, you would not be a fan of this. 2.) V2 – slight colour variation. This means that there may be some tonality differences. 3.) V3 – significant colour variation. Perfect if the tile is replicating stone or timber! 4.) V4 – indicates that the tile has a very significant colour variation. The tonality difference would be very noticeable. So.. What kind of Tile Should I Use for Every Part of My Home? Let us run through your whole house now! Car Porch: Stone Look / R10 or R11 / Full-Body Homogeneous Tiles or Heavy Duty Glazed Porcelain Coloured Body Tiles. This area is prone to being wet and requires strength and durability. Sizes chosen should be no larger than 30 cm x 60 cm. Anything larger would increase its tendency to break! European factories are extremely advanced technologically and you should check with your supplier which are the Glazed Porcelain Tiles that may be deemed as Heavy Duty. Living and Dining Room: R9 or Polished / Full-Body Homogeneous or Glazed Porcelain Tiles. Many would like their tiles to replicate marble. As far as sizing is concerned, the bigger the size, the more elegant and spacious the look! Dry Kitchen: Most may go for the same selection as the living and dining room. Wet Kitchen, Toilet, and Backyard Floors: R10 / Full-Body Homogeneous Tiles or Heavy Duty Glazed Porcelain Coloured Body Tiles. We would certainly want something that is anti-slip, non-porous, and easy to clean! Any Wall: Ceramic tiles or any other kind of tiles may be used as walls are unlikely to come into contact with water!